On Friday, staff at Salt + Light paused for a moment to watch the final cut of God's Doorkeeper: Saint André of Montreal, one of our latest documentaries. It was quite an experience - beyond words. Thankfully a skilled journalist chronicled the experience. The article below was published in the National Post. I had an opportunity last week to sit in on a screening of a new film on Brother André produced by Toronto-based Salt + Light Television. Brother André was made St. André last month in Rome and the Salt + Light crew was at the Vatican to capture the final steps of the little doorkeeper’s ascent into the Catholic Church’s pantheon of the most honored faithful. The DVD will be available in a few weeks and I would hope that those outside the usual suspects of the Church find the time to see this wonderful film. 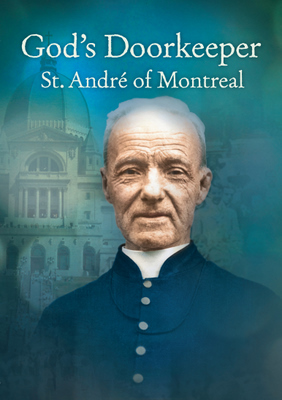 It includes incredible archival footage from Saint André’s along with interviews of those who have been greatly influenced by his life. This story is told seamlessly and with grace. 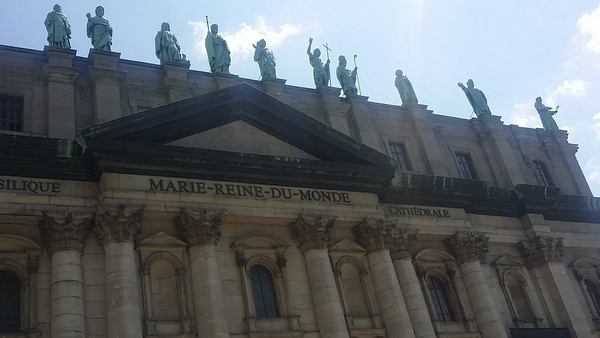 While the film puts him squarely in the history of Quebec it is abundantly clear that Saint André’s life transcends any provincial or national boundaries. They have also produced a new film on Mary MacKillop, Australia’s first saint, who was canonized alongside of Brother André. The film on Brother André goes way beyond the usual piety that accompanies stories about the saints. Aside from the Saint André’s own path to glory, through the simple act of obedience and humility, we also see in the film the impact he has had on those who have come after him. There is much in this film that is surprising and courageous. Salt + Light could have taken an easy, sanctimonious path but instead they wanted to show that to live a holy life, to walk in the footsteps of a saint, often means getting one’s hands dirty and working in corners of society that most of us would just as soon never see. 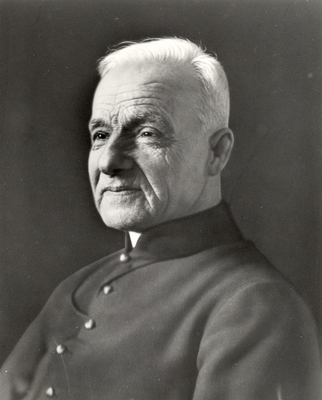 It is also easy to think that the life of a saint is somehow something for Catholics only. But then consider St. Joan of Arc, Saint Bernadette Soubirous of Lourdes, St. Francis of Assisi, St. Thomas More and myriad others who have burst through the confines of the Church and are now honoured as heroic men and women far outside the boundaries of the faith. 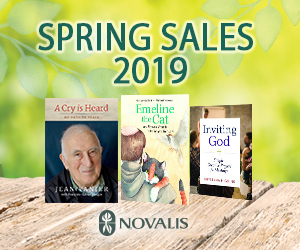 Salt + Light is run by Father Thomas Rosica, the man who never appears to sit still. He is one of Toronto’s great priests and simply one of the most decent men you will ever meet. He has more energy that 10 men but no matter how busy he is he will always stop to talk or return a phone call, even if he is in Rome or Jerusalem. He and his staff have a real vision of what intelligent religious media should be and with each succeeding project the quality of Salt + Light productions grows. He is assisted by a relatively young group of filmmakers, writers and editors — some of the most talented artists gathered under one roof in this country. What is wonderful to see is that they go about their work with good cheer and a minimum of ego. It is refreshing to see that an artistic vision can be driven by more than spiffy hairdos and foppish attitudes. Salt + Light already has a reputation for pushing past the obvious. 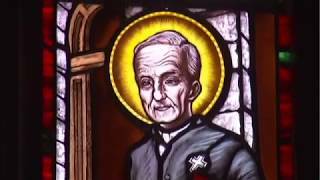 They produced two films in recent times on St. Josemaría Escrivá, the founder of Opus Dei, and Pope Pius XII, whose actions during the Holocaust have long been the subject of controversy. These were topics they could have easily avoided — but that would have been taking the east way out.